The lead single from the group’s fifth album, “Face The Music”, became their first worldwide hit, scoring Top 10 spots in several countries including a No. 10 position on the US Billboard Hot 100. 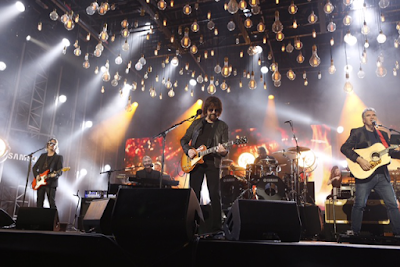 Lynne’s ELO will launch their 2016 live schedule with a UK tour in April followed by a series of European dates. Formed in Birmingham, UK in 1970, ELO scored hits in the 70s as a modern rock group with overtones of classical music, including “Strange Magic”, “Telephone Line”, "Mr. Blue Sky" and “Don’t Bring Me Down”, among others.